From open-air entertaining areas to decks that provide seating for the sunset shows, outdoor rooms compliment a home and provide extra living space and an invitation to enjoy nature. For years outdoor living spaces have been a trend but now they are the future. You don’t need a big piece of property or a green thumb to turn your backyard into backyard bliss. 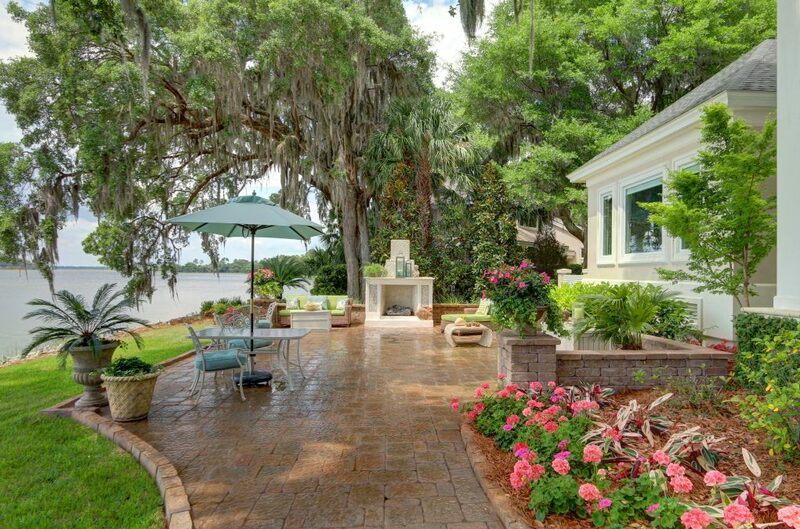 Our client’s wish lists range from a tranquil sanctuary surrounded by tropical plants to patios nestled in their existing landscape accented by live oaks. A recent project my husband created began in a small space that had overgrown landscape. The client who is a nature lover wanted a place to relax, unwind, and entertain. The finished project was achieved by restoring the existing landscape, adding plants that attracted hummingbirds and butterflies, and installing a patio that is now the outdoor dining room. End Result: Backyard Bliss.